We care about the communities and environments in which we do business. We care about the environment and believe that good business performance and good environmental performance and inextricably linked. 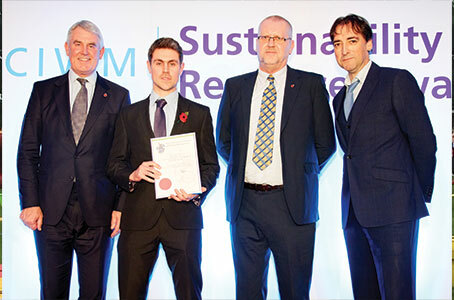 We believe that we have a positive part to play in the long-term future of the UK Environmental Service Industry. We have a focus on sustainability. We are committed to reducing our impact on the environment and providing customers with access to our research and innovations to help them meet their environmental goals. 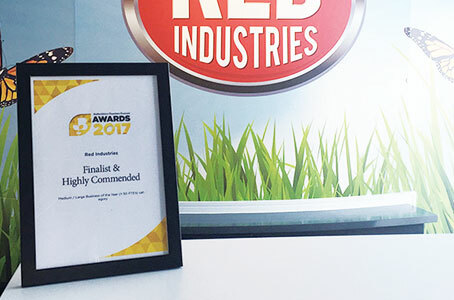 By creating safer waste treatment and disposal options, using energy efficiently, and by increasing recycling or re-use – RED Industries are contributing to a more sustainable future. Our environmental experts can help with advice on how your business can increase its recycling, provision of a range of solvent-free parts washers, and oily rag service. We are committed to the communities in which we do live and work. 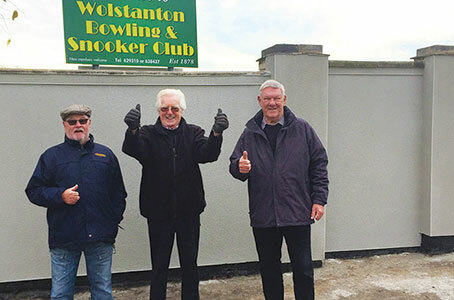 We are proud of the communities we operate in and aim to improve the areas in which we operate, whether it’s through employment opportunities, sponsorship, charitable giving, or funding for community projects. Our mission is to have a positive effect on the local economy, this means buying and hiring locally and we are proud to be able to offer quality employment and training opportunities to our communities. 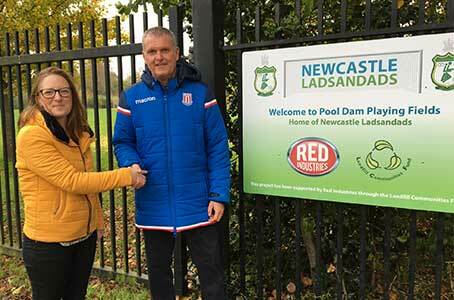 Communities around our sites can also benefit from funding for community and environmental projects through our Red Industries Landfill Communities Fund. 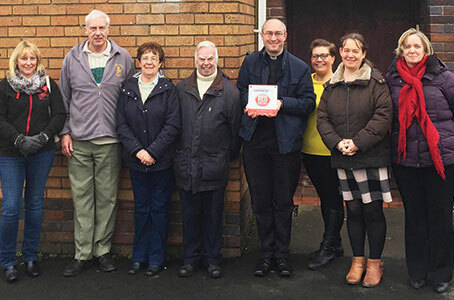 The fund is available for large and small projects – since the fund started in July 2017, we’ve approved over £910,000 for projects in the local areas around our sites. 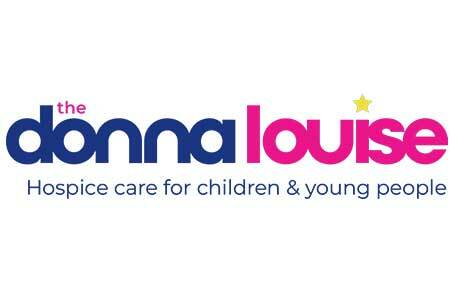 We will always go the extra mile to support important local causes which is why we are dedicated supporters of The Donna Louise. This fantastic charity supports families across Staffordshire and Cheshire, they provide care and support services for children and young adults with shortened life expectancy or those who, due to illness or injury, have a life-threatening or life-limiting condition. Whether it’s sponsorship of events, participating in fundraising events, staff’s own personal fundraising challenges, or collection days at work – we are committed to supporting the hospice and the wonderful work they do for families in our local communities. In May 2018, our CEO, Adam Share, will be took part in the grueling Tower to Tower challenge. Along with 11 other people, he traveled from the Eiffel Tower to Tower Bridge by bike, boat, and boot to raise awareness of the exhaustion many of the families who use the Donna Louise experience on a daily basis. The team raised over £250,000 for the charity. We’re also pleased to be one of Alice Charity’s Fortunate 500 businesses. 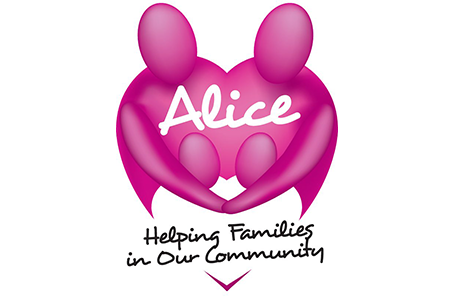 Alice Charity is a wonderful local charity who support low income and vulnerable families in Newcastle and Stoke, providing support, essentials, and care. We are proud to sponsor local teams and people. Jacqui Allen – Fegg Hayes born Jacqui is now a world class triathlete and has competed (and won!) in events around the world. She’s competed in events including British Triathlon Super Series, French Grand Prix, ITU European & World Cups, Xterra World Tour circuit, ITU Cross Triathlons and more! Adrian Spencer – We also sponsor rally car driver, Adrian ‘Adge’ Spencer. Adrian is well known in the rallying world and had been racing in the Subaru Impreza WRC S11. We also support other local golfers, people, and events in the community. To achieve our goal of being the UK’s premier environmental services provider company, we affirm our values of Integrity, Innovation, Leadership, Performance, Teamwork, Customer Focus, and Respect for People, Community and the Environment. We are a responsible business. We demand of ourselves the highest ethical standards, and our services and processes will be of the highest quality. Our conduct as a company, and as individuals within it, reflects the highest standard of integrity. 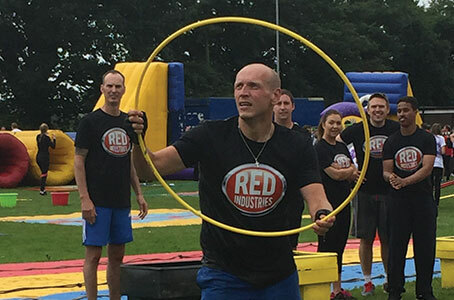 The Red Industries name is a source of price and we will demonstrate open, honest, and ethical behaviour in all dealings with customers, colleagues, suppliers, partners, the public, and regulators. We are committed to ensuring the health, safety and welfare of our employees, customers and suppliers as far as reasonably practical, whilst on site. The health and safety of our company is a collective effort. We work to engage and motivate our staff, giving them the tools, authority and support they need to succeed. We operate legally and compliantly. We operate to the highest standards and take our responsibility seriously. We operate responsibly and ethically, with respect and understanding for the environments and communities in which we operate. We hold ISO 9001, ISO 14001, and OHSAS 18001.